Motion Control – H2W Component Selection Calculator! Santa Clarita, CA — Linear Motion Control Calculator– H2W understands that there can be confusion when it comes to trying to determine how much force and acceleration is necessary to achieve your desired motion profile. We have taken the guesswork out of making that determination and placed a number of calculators on our webpage for your use, as you determine which of our vast product offerings would be best suited for your application. 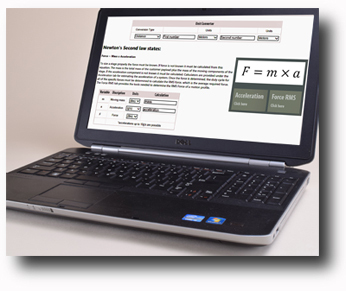 We understand that there are a number of options when it comes to motion profiles; therefore we have included calculators for basic triangular motion profiles, trapezoidal motion profiles, sinusoidal motion profiles, as well as other calculators to determine the amount of force required if your profile does not correspond to any single motion profile mentioned previously. Additionally, H2W has sought to demystify force at specific duty cycles by providing the necessary calculators to determine what your actual duty cycle would be as well as determining how much force our motors will generate at a given duty cycle. « Motion Control – Low Inertia, High Precision, Hollow Core Voice Coil Motors!